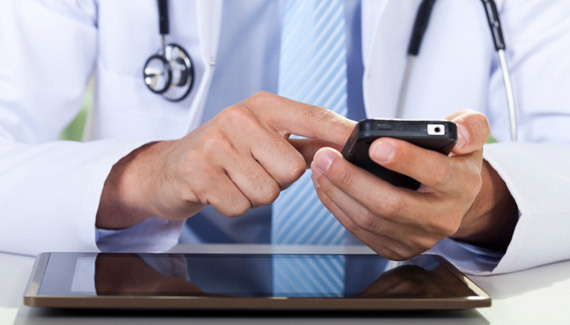 There has been an increase in the use of medical and health-related mobile apps. Not only are individuals using apps to monitor their own health conditions, track their fitness and weight loss progress, count calories, etc., but medical professionals are beginning to implement mobile apps more and more within their practices. HIPAA-compliant medical apps that provide reliable ways for healthcare professionals to communicate with patients are becoming more and more popular. There has been an increase in the use of mobile apps across the medical industry, and it’s not difficult to see why. A lot of industry experts, however, have started questioning the safety and accuracy of such apps. While the FDA encourages the development of medical apps that will improve the patient experience and the efficiency of communication, they are also obligated to ensure the safety and effectiveness of these apps. In September 2013, the FDA issued the Mobile Medical Applications Guidance for Industry and Food and Drug Administration Staff. This explains the part of the agency in providing oversight for medical and health-care related apps. This also provides examples of the ways in which the FDA may regulate mobile apps. There will be more emphasis on the regulation of apps which could do harm to users if they do not work correctly. Medical mobile apps can certainly do a lot for healthcare professionals to increase the accuracy and efficiency of their medical practice, which is why they are becoming so popular. This is clearly the way of the future as more and more of the healthcare industry utilizes technology in new and innovative ways. It is important for healthcare professionals to find a medical app development team that understands all of the FDA regulations and understands how to create HIPAA-compliant medical communications. This is the best way to ensure the patient’s safety and privacy are protected.